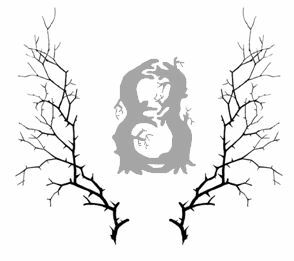 There’s a fantastic article on Joan Aiken’s website called ‘A Fondness for Ghosts’, in which Joan’s daughter recalls that her mother was disappointed never to have seen a ghostly apparition herself, despite writing about them for many years. It struck a chord with me, since I’m slightly peeved never to have caught even a sniff of the supernatural. I’ve certainly been on the look-out this last few years – if there’s talk of a headless horseman or a disgruntled maidservant, I’ll be there – but as yet, nothing spectral has crossed my path. 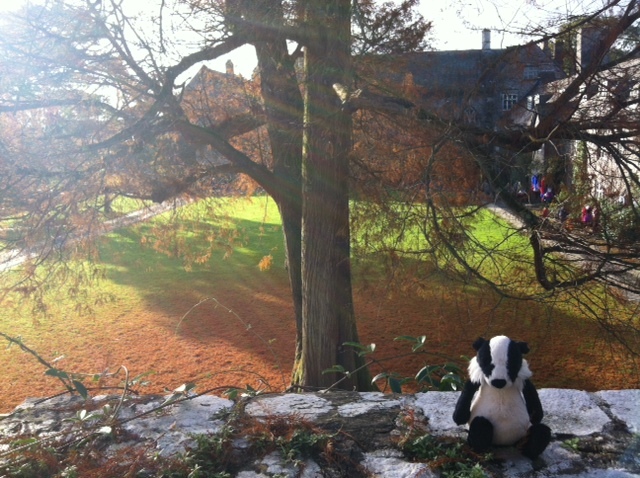 This weekend, Badger and I stayed at Dartington Hall in Devon, and it’s this wonderful place that is my eighth gift in the Ghostly Advent calendar. If you’ve never been there, make time to go in the New Year. You’ll enjoy it, and you may even see the ghosts that have eluded me – for Dartington Hall has plenty of them. We were there for a pre-Christmas break, as nearby Totnes has some fantastic bookshops (Harlequin Books is a particularly haunt of ours) and rather too many nice places to eat (La Fourchette on Fore Street is a paradise for piglets). We’ve stayed at Dartington Hall before, and been pretty chuffed with its offerings – lovely rooms, good pub, on-site cinema and fat cats prowling the grounds. 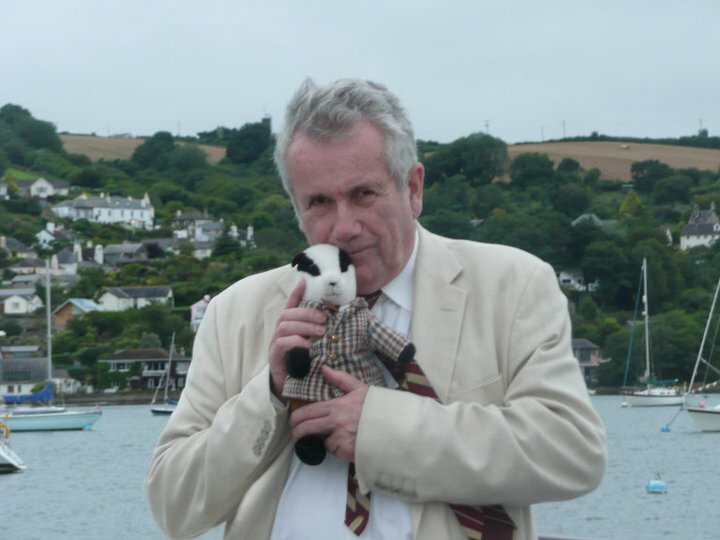 There’s an annual literary event there which we’ve also visited – last time, we even got Martin Bell to pose with one of the badgers. 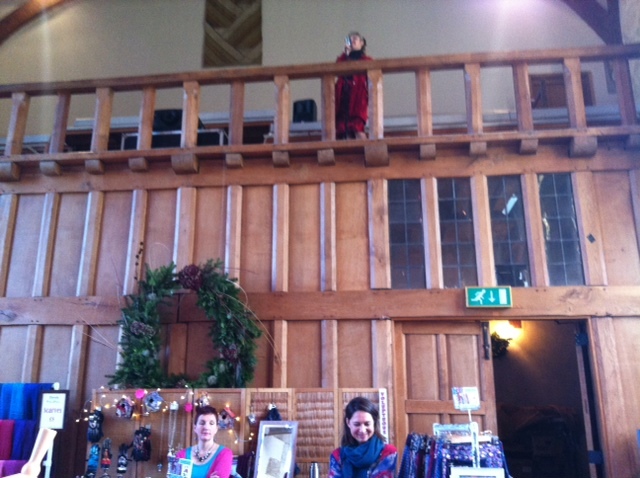 This time, there was a vintage fair in the Great Hall, to which Badger was dragged somewhat unwillingly – however, he wasn’t immune to the charms of Becky Brine who sang old swing songs from the minstrels’ gallery. And the ghosts? I recently stumbled across a site called The Paranormal Database which is an excellent starting point for those interested in Haunted Britain. The database records the inevitable headless horseman at Dartington Hall, but also a an old nurse, and a woman who, ghoulishly, starved to death in one of the bedrooms. I found more information in Lionel and Patricia Fanthorpe’s book ‘The World’s Greatest Unsolved Mysteries’, which refers to a Grey Lady, a White Lady and a doomed postman. According to the Daily Mirror, even Martin Shaw has seen a ghost at Dartington. Badger and I saw none of this when we stayed. Once again, I’ve been thwarted in my ghostly quest. But don’t let that put you off – I’m sure there’s plenty of spine-tingling fun to be had.